After a turbulent few weeks for those at the top of the schools' watchdog, Phil Kemp asks if this public row has distracted from the real struggle going on at Ofsted. After a turbulent few weeks for those at the top of the schools' watchdog Ofsted, with headlines about critical reports, and personnel changes, Phil Kemp asks if this public row has distracted from the real struggle going on at Ofsted. The programme investigates why the political right feels that some inspectors have been captured by an outdated progressive approach to teaching. The programme reveals that Ofsted's leaders are rewriting inspection reports, removing phrases that imply criticism of particular teaching styles. The fightback against the educational theories of the progressive left has been dubbed the battle of the Blob. Who is winning? The programme includes interviews with Michael Cladingbowl, Ofsted's National Director of Schools, Former School's Minister Nick Gibb, Anastasia De Waal, Deputy Director of Civitas and teacher and education blogger Andrew Smith. Read Phil Kemp’s article on the BBC News website. Simon Cox investigates the battle for influence over free schools. 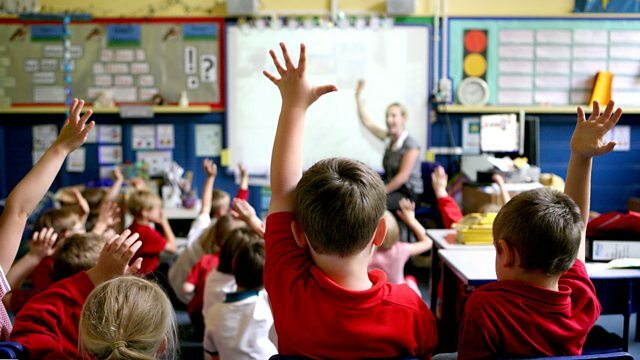 Why some primary schools are fighting government plans to force them to become academies. Investigating falling school exclusion rates which may be masking failure. From free schools to university fees, The Report investigates education in Britain.